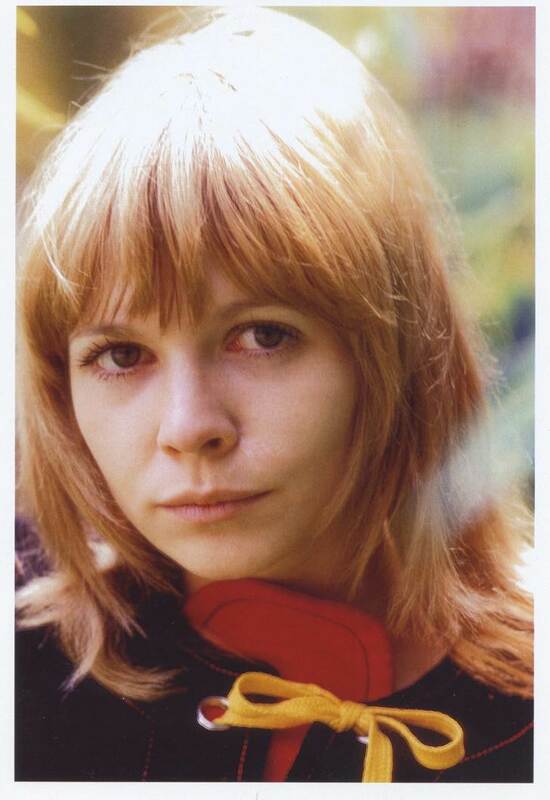 KATY MANNING was born in Guildford, daughter of writer JL Manning OBE. Trained as dancer, she then attended the Webber Douglas School of Dramatic Arts. Her television career began with the ground breaking John Braine series Man at the Top. During this, Katy was offered the role of Josephine Grant in Doctor Who with the unforgettable Jon Pertwee. Douglas Camfield (Director of many Doctor Who stories) cast Katy in an Armchair Theatre and Target with Patrick Mower (very different roles from the innocent Miss Grant!). She also hosted her own weekly Arts and Crafts programme Serendipity. Theatre work includes, in the West End, three years at The Apollo in Why Not Stay For Breakfast?, There’s a Girl in my Soup, So Who Needs Men?, Run For Your Wife, starring alongside Derek Nimmo, Bernard Cribbins, David McCallum and Eric Sykes. Katy joined the Young Vic for Hamlet, Real Inspector Hound and Rosencrantz & Guildenstern are Dead. In Australia at Sydney Opera House, Elvira in Blithe Spirit and the title role in Educating Rita, The Odd Couple with Jack Klugman and Tony Randall. Otherwise Engaged with Martin Shaw and See How They Run with Andrew Sachs. Katy has also performed her one-woman show, a true story of Bette Davis entitled Me and Jezebel, directed by partner Barry Crocker (yes, Bazza MacKenzie himself!) across Australia. Katy brought the show to The New End Theatre in Hampstead, London to great critical acclaim, followed by another very successful season at the Edinburgh Festival. Katy has voiced numerous cartoons and won several awards including Best Supporting Actress at the Melbourne Film Festival and several European awards as the voice of the ten year old Gloria in the animated cartoon Gloria’s House. As a director, she has directed Banjo Patterson, Shirley Valentine and the original tour of the Australian musical Eureka. Recent audio work from Big Finish Productions includes two box sets of UNIT:Assembled as Jo Jones with Jemma Redgrave & Ingrid Oliver, a new Iris Wildethyme with Sylvester McCoy, Sophie Aldred & David Benson as Panda, Torchwood where Jo Jones meets Captain Jack in The Green Life plus Mother Nothing in Torchwood: The Lives of Captain Jack and Dracula with Mark Gattis. Katy wrote and performed Not A Well Woman in New York and LA and has now recorded it as an audio for Big Finish Productions (now available, also on iTunes, complete with 26 voices). For Bafflegab Productions, Katy recorded four Paul Magrs penned stories of Baker’s End. The first three with Tom Baker, which won the New York Festivals Radio Award 2017 for Best Audiobook as well as a Finalist in the 2017 BBC Audio Drama Awards. A further Baker’s End followed with Colin Baker entitled The Happenstance Pox. Katy returned to television screens as Jo Grant, some forty years on, in The Sarah Jane Adventures, alongside the late Elisabeth Sladen and Matt Smith as The Doctor, written by the incredible Russell T Davies . Also appearances in Casualty, Celebrity Eggheads and Pointless. Short films include Memoria, The Power of One Coin and Dark Must Fall, for which Katy won Best Supporting Actress at the Melbourne Film Festival. Feature films include The Haunting of Harry Payne and Frog Dreaming with Henry Thomas. Her recent theatre work includes Nobody’s Business at the Kings Head Theatre, Agatha Christie’s A Murder Is Announced and Death By Fatal Murder. Keeping up with Joans at the Edinburgh festival, and An Audience with Katy Manning also at the Edinburgh festival. For the US and Australia, Katy has voiced a feature length animation playing the title role of Oakie (a nine month old puppy dog) in Oakie’s Outback Adventures. Getting interactive with a new BBC digital game by Tiny Rebel Games called Doctor Who Infinity, Katy adds her vocal talents to Lady of the Lake & The Orphans of The Polyoptra. Katy lives in London and has twins Georgie & JJ plus a new addition of a granddaughter.